Well, I’ve joined the twitter bandwagon. Not sure how it works just yet. Actually, I have an idea but I’m just trying to get the hang of it. Feel free to follow me if you are in the twitter world. So much to talk about. I don’t have much time to update, (why am I going on twitter then?) 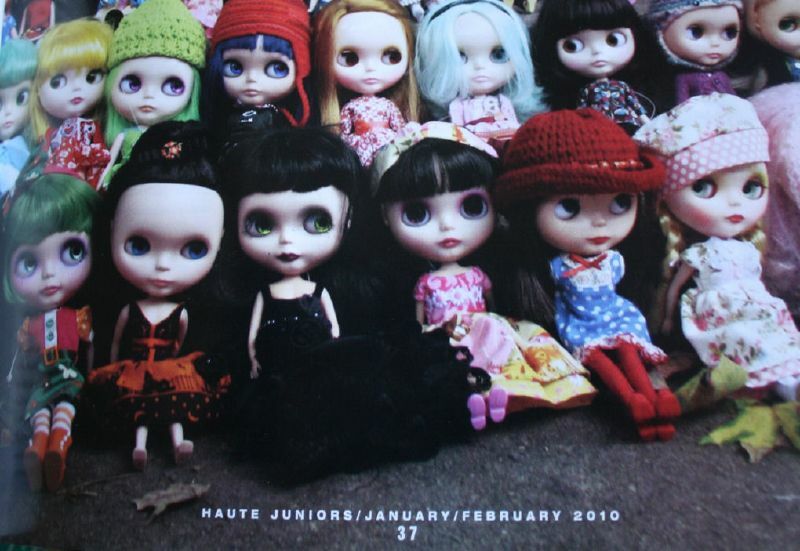 but I’m excited to say my custom dolls made cameos in the February 2010 issue of Haute Doll Magazine. 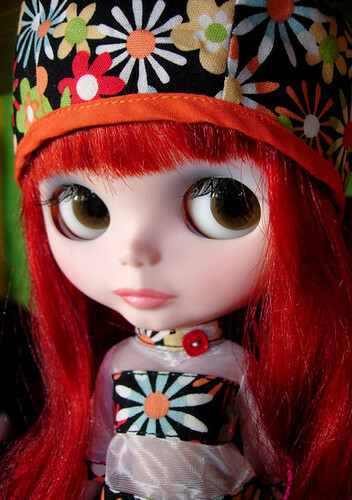 My good friend and avid doll collector Iveta Babiakova wrote an article covering BlytheCon 2009. Unfortunately, I wasn’t able to attend but our friend Maggie joined Iveta and she has several of my customs Blythes and brought them along. They made the front row in the picture above and you can click on the picture to see which are mine. So that’s a little exciting. There’s another picture where there’s some green haired girls and Maggie’s Apple shows up. I’m also mentioned on the first page as being the one to get Iveta addicted to Blythe. Good thing they’re not really drugs or I’d be put in the slammer as a pusher. Funny enough that’s Iveta’s official title among her doll friends. A big congrats to Iveta on the article. It’s very well written and a must read for all the Blythe obsessed so do check it out. I picked my copy up at my local Barnes and Noble. I’m taking a few moments here to catch up after welcoming a beautiful son into the world 4 weeks ago. When he was sleeping all the time during the day and hubby was home from work and parents were around to keep the other 2 busy, I finished up some unfinished projects. The girl above is available for sale. 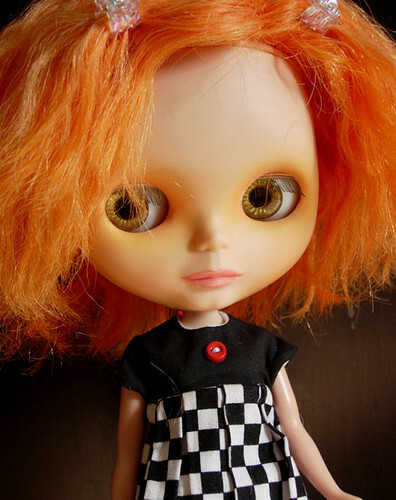 She was a Friendly Freckles and got her scalp swapped with Miss Sally Rice. It was then dyed this fresh spring green. I gave her new airbrushed make-up, cool cat chips, lashes, lip carving and this hand made dress by yours truly. However, I’m still a novice sewer so it’s not perfect. But the doll is so cute and fresh. 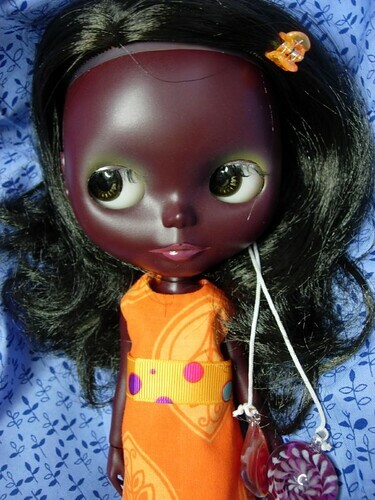 I almost hate to part with her but other dolls are calling. So, if this spingtime lovely calls out to you visit my website for more info. 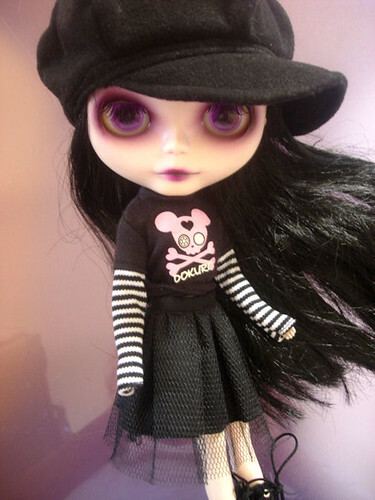 Another loose end that was a year and a half in the making was my black Blythe. I finally got a Pure Neemo body for her since it took the paint quite nicely. 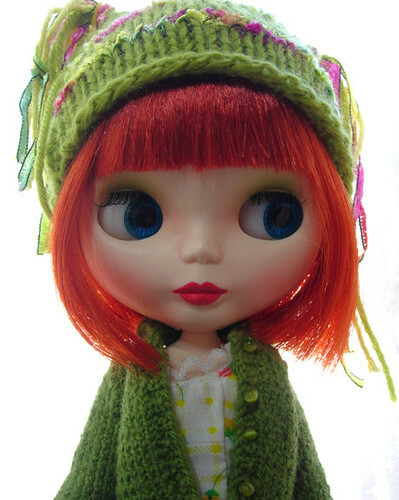 Pure Neemo can wear many of Blythe’s clothes. She’s already heading to her new owner so she’s not available any more. I made her dress as well. I love her dark chocolate skin tone. Makes me crave some chocolate now. So that’s the news in dolly land. Now back to the real world. I know it’s been a while since I’ve posted last but I’ve been working on stuff and the latest is a mohair custom I finished for a customer. I’m really pleased with her outcome. Mohair is tricky to work with and gets matted so easily so it takes me a while to detangle it after finishing the rooting. She has a Cool Cat scalp and eye chips and was previously a Prima Dolly Aubrena. I airbrushed her make-up in pinkish tones including some airbrushing on the lips. I must admit she’s pretty dreamy and I wanted to play with her more but her owner didn’t waste any time paying for her so off she went just as soon as she was finished. I say crunch time because I’m expecting any day now so I had to get as much done as possible before the new living dolly make his entrance. This may keep me away for a while although I hope not and hope to get back to work after some recovery time. In fact, I’m expecting the new set of Prima dollies toward the end of the month so hopefully that will motivate me to get back to work. Or at least provide some much needed doll therapy. I’ve also had many people ask if I’ll be putting up more episodes of The Chronicles of Judith and my answer is yes, I hope so! Probably slow but definitely plan to continue for as long as my sister writes for it and my husband is willing to do music for it. But for now I prepare for the new one which will definitly keep me busy. Until then, sianara! I sold my first Prima dolly Aubrey I earlier this year but then CWC came out with an encore version so I jumped on getting another one at the Prima Dolly introductory price. I finally got around to giving her her own special look and personality. So here’s Judith and she may be starting her own blog chronicling her life in Suburbia as a boarder of a soon to be family of five. As you can see she’s pretty nervous. Below is a very light custom I did for a dolly friend who always keeps me busy with her huge collection of dolls and ideas. She’s Mod Molly with some added make-up changes. I kept her green eye shadow and airbrushed a fresh yellow on her lids. I also repainted her lips and added more blush. 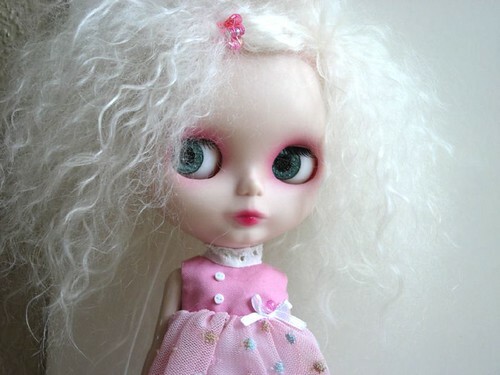 She’s been given new lashes and sleep eyes and boggle. 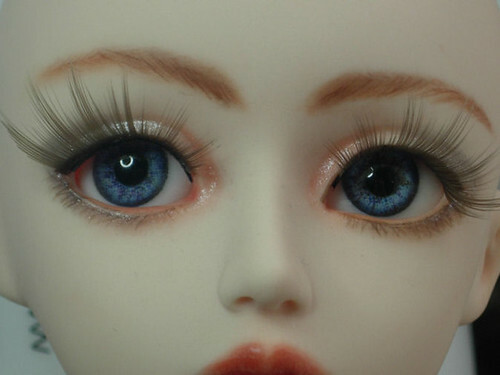 Nothing too dramatic from the original as I think Mod Molly is a great doll to begin with. 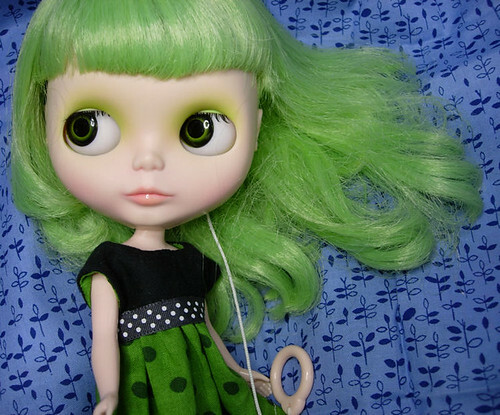 She already had this hair cut but I went ahead and evened it out and fixed the wonky bangs that, for some reason, always need adjusting on stock Blythes. Well, back to work on the line of Momokos waiting to be madeover for those who wait. 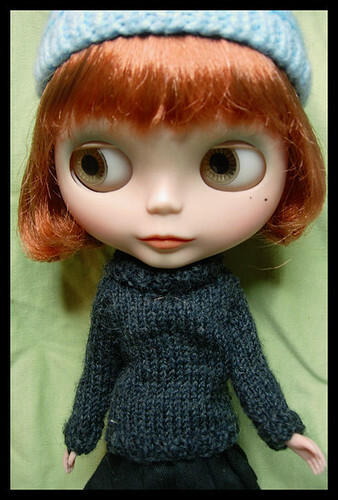 But I just had to have a Blythe binge the past week and get it out of my system. It’s been ages and ages, I know and so much has happened sonce I last post. There was IFDC which was great and I was obsessing about our election here in the U.S. and thankfully my guy won! I’ve done several customs in between and encourage people to view my flickr to see what I worked on the last few months. I did a few face-ups and am improving there. It makes me what to redo my earlier face-ups now that I’m getting the hang of it. I did redo my Lati Lea and Miel a while back. 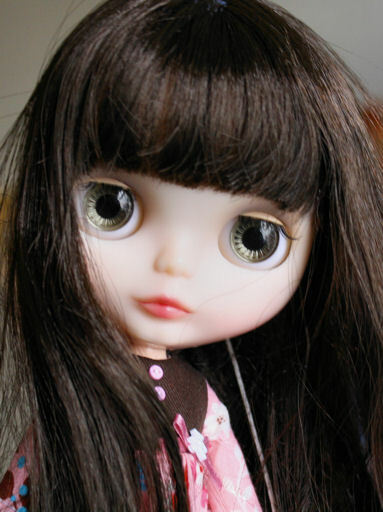 I’m back with my obsession of Blythe. My latest girl is the one pictured. She was previously a Hello Harvest. Her hair was dyed this vibrant red and I gave her bangs. I redid her make-up as well and am really happy with the results. I think I’ll add a beauty mark and I’d like to make her an outfit if I can squeeze that in. I’ll probably sell her but I’m enjoying her company for the moment. I had to close my commission book for the time being until I get caught up on those. One of my more recent ones that was very time consuming was this mohair re-root of Fruit Punch. I also redid her make-up as well. I definetly want to do more mohairs because they have such personality and I love the dyed ones in different fantasy colors. I dyed this batch with tangerine RIT dye. Her owner is happy and she came in time for Halloween. I think her colors are appropiate for that season. I shall sign off for now and try to post more with my recent works in the coming weeks. Where to begin? It’s been some time since I’ve updated. I’ve been knee deep in trying to get some dolls ready for IFDC at the end of July. But here’s a recent custom. Another gothy type girl for a customer who desperately wanted her own goth girl after seeing the other 2 I did recently. My Lati babies finally arrived after 2 months since ordering them and then I added 2 more on top of that so now I have 6 yellows. I think I’ll stop there for now. They’ve restocked too so I could get a Lami but I don’t feel I need her. I’ve reached my saturation point with six so unless I let one go I won’t be getting her anytime soon. So, after getting the other bebes with Lati’s default make-up I finally decided to redo my Lea. I had originally done her to be similar to the company’s default because that’s what I liked at the time but now after seeing some more face-ups from other artists, I wanted to put my own touch to her. I LOVE the results and I don’t think I’ll ever order a basic doll with make-up now that my skills are improving. Also pictured is my Luts KD Bory who ended up getting repainted as well. Now I’m happy with them and can stop fussing over what I didn’t like before. It’s hard to catch the subtlety of Bory’s brows and they look better in person than this picture. 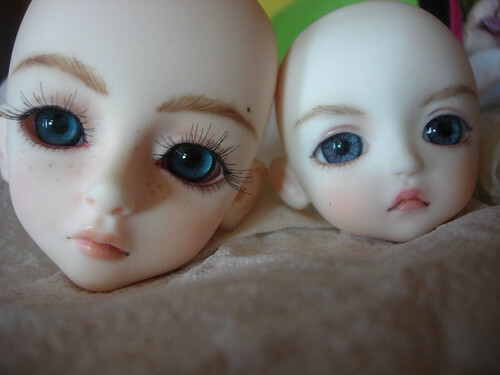 I just want to keeping going at it with doing these resin beauties make-up but I unless I redo every doll I have I’m out of dolls to do. I’ll take more pictures of these cuties tomorrow but untill then I must get back to finishing my dolls for the convention.